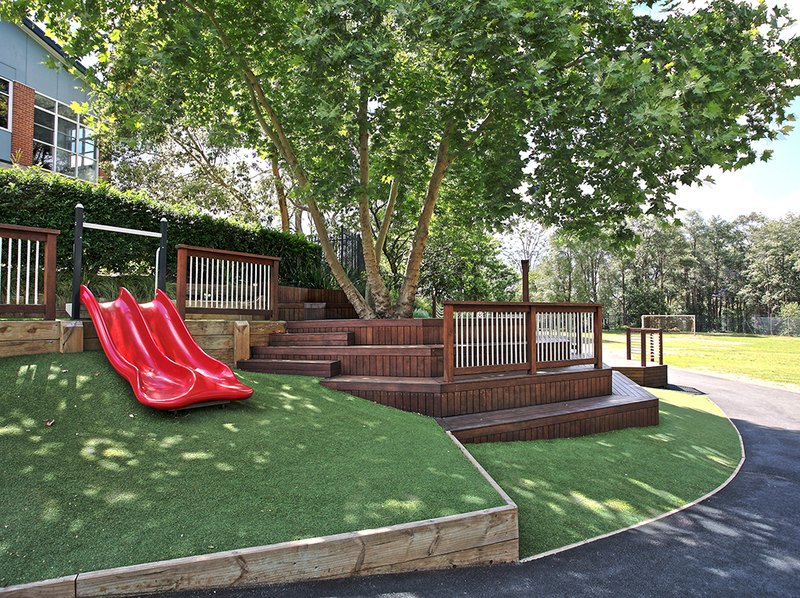 Set in the grounds of St Bernadette’s Primary School Dundas we constructed this playground. 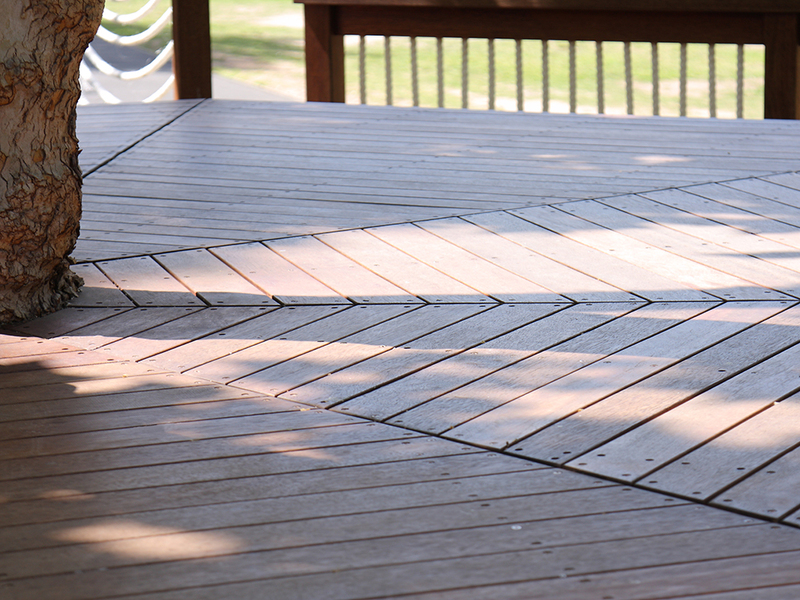 The design required us to sensitively incorporate an octagonal deck with multi-tiered bleacher style steps. 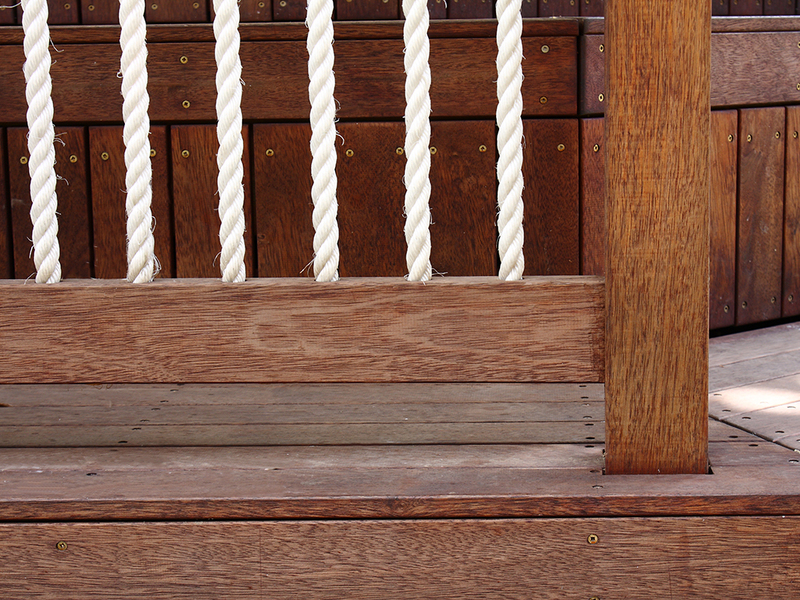 Creative and imaginative play would abound in this play space. 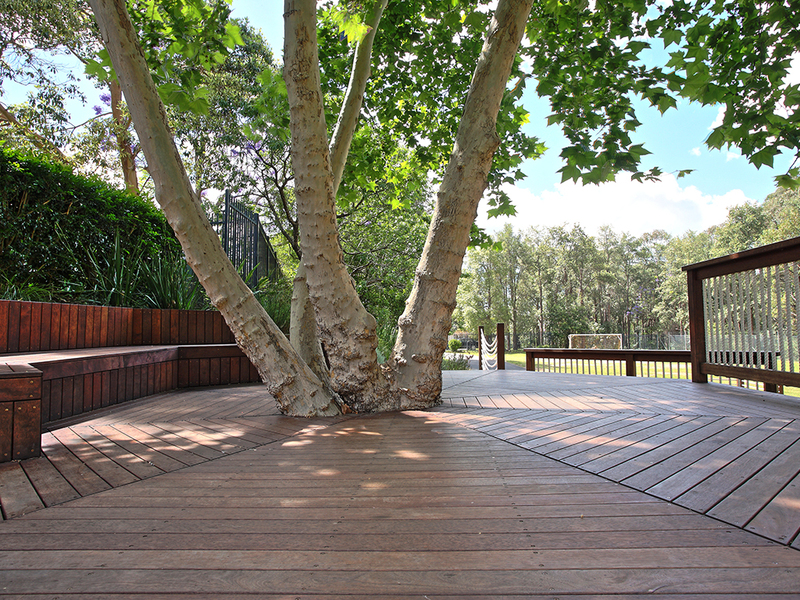 Set beneath the mature Norway Maple tree, the decks, the rope balustrades and bridge suggest a nautical adventure, or simply a nice place to eat lunch in the shade. 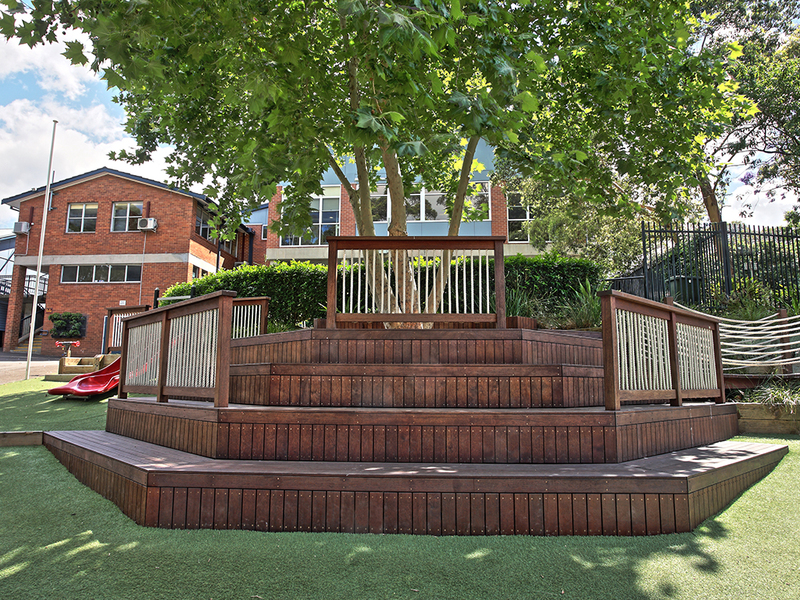 The playground is placed over an under used embankment which required a small amount of retaining walls however the design maximised the use of the slope through the incorporation of a slide.